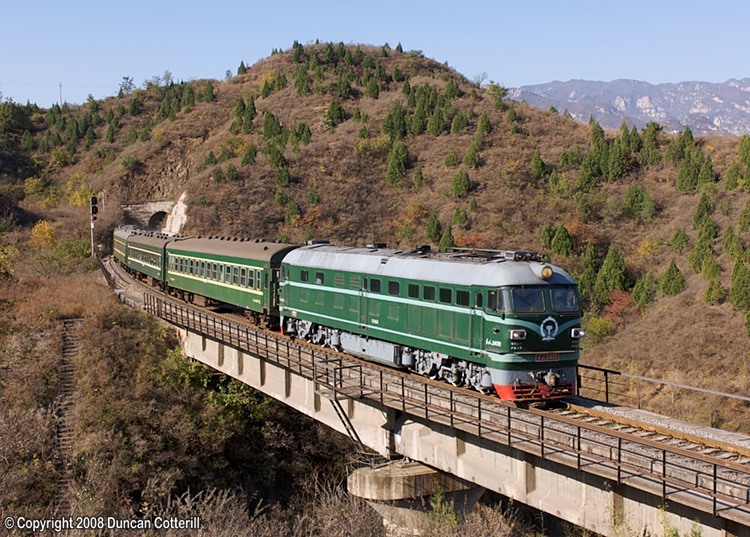 A few years ago, most trains on the line were worked by Huairou Bei based DF4A diesels dating back to the early 1980s. They still work shorter distance passenger trains but have been displaced from most other workings by more modern locos. DF4 0400 was in charge of train 6453, the 06:16 Beijing Bei - Luanping passenger, when it was photographed shortly after leaving Shitanglu on 19 October 2008.